Another year has gone by and here are some of our good food recommendations for 2018. The summary are based on food quality, price, environment and service, another key criteria that we have defined in our selection of choices is the level of popularity, only food outlets that are not too well known or may be a hidden gems are chosen, the idea is to provide some fresh alternative makan places for the readers from something that have not flooded the main stream yet. Hope you will enjoy it. We had been to many Thai eateries around the island and few have made it a memorable one with both the quality and price, this little gems in Yishun has somehow leave us with an impact, Thailand Street Food restaurant may be small and new but the important thing is that most of the dishes here work and work well, the very reasonable and affordable price with no GST and Service Charge provides another reason that warrant many future visits. It is always fascinating to watch how a thin strip of white dough magically expanded into a golden brown chewy, fluffy and crispy chunky sticks in a pot of sizzling oil. Be it the You Tiao, Ham Chee Peng or the Butterfly Bun etc, the comforting staple street food, the sight and smell of this morning treat is nostalgic, it is hard to ignore this Chinese fried churros wherever we come across one. 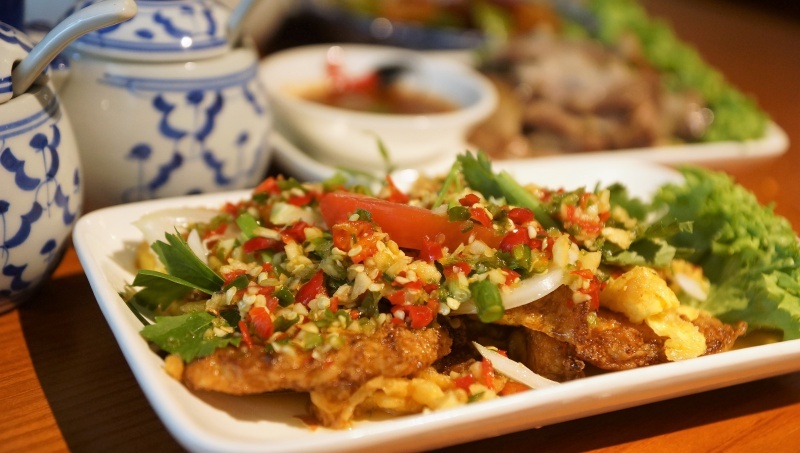 What truly make Pasir Ris Dough Fritters stands out among other fritter stalls is the sublime quality that impressed us, the assortment of the fritters has the right texture and flavour. 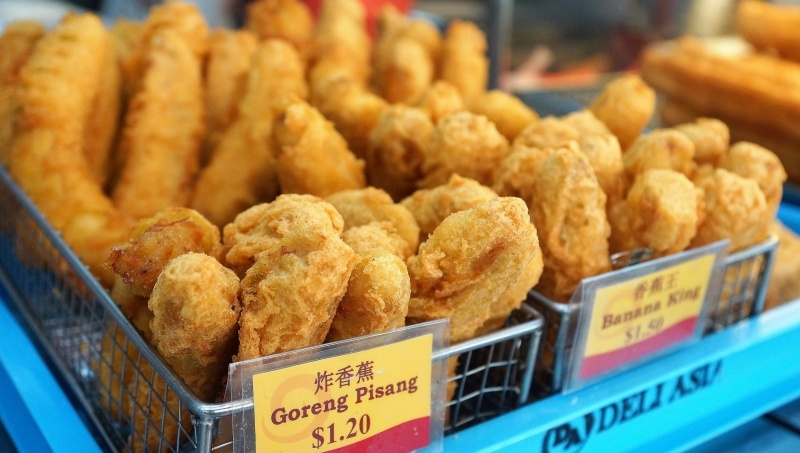 Not easy to find one dough fritter stall that able to deliver the vast assortment of fritters with the right quality, Pasir Ris Dough Fritters is probably one of the few able to make a mark. The wall right behind the stall has a graffiti painted with the big words “The Art of 蝦 Noodles” literally meant “The art of Prawn noodles”. The slogan seems to implicit the confidence of its culinary skills for this staple food and the long queue apparently underpinning the popularity of the prawn noodles here. 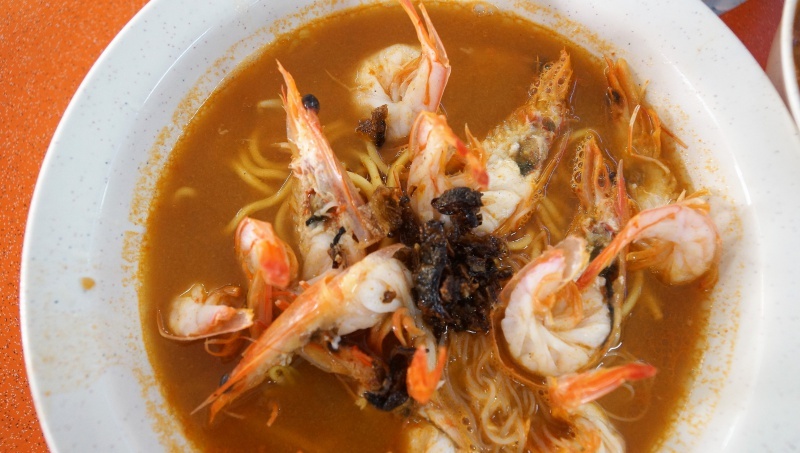 Located deep in the Loyang industrial park and almost right next to the sea, Big Prawn Noodles chosen the secluded part of the island to run the business, the one-man show stall has nothing to fear of lacking the crowd – queue hardly broken throughout the business hours. 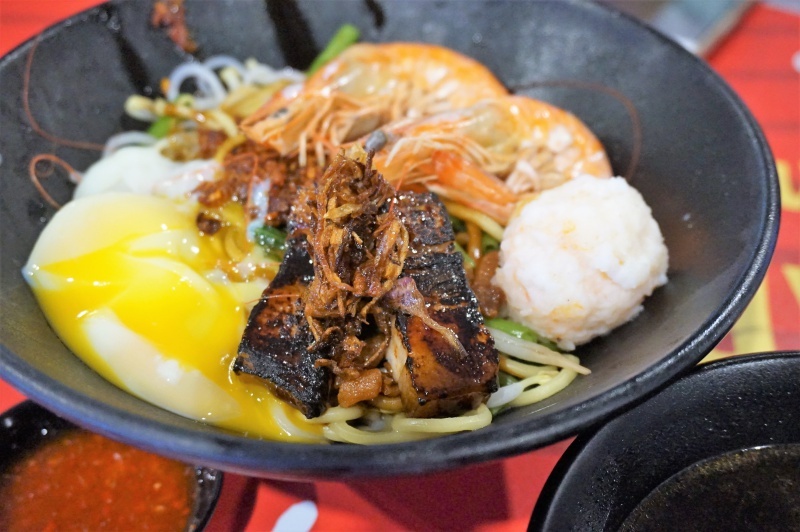 Undoubtedly, Big Prawn Noodle has delivered its promise, “The Art of Prawn Noodles” has truly lived up to its name, delivering tantalising bowls of prawn noodles that good enough to warrant them to be one of the best prawn noodles in Singapore. Chicken rice, fishball noodles, prawn noodles, fried kway teow…The traditional hawker stalls that have been embedded in our food DNA are seem going through the transformation for the demands of breaking the traditional with fusion-infused hawker food. And it could not be more ideal than letting the young food entrepreneurs relishing their passion on the culinary skills by introducing the third dimension into the local hawker scene. Prawnaholic – managed by a young chef and selling the traditional Prawn noodles with a modern twist, the signature dry version is one of their best sellers, deviating from the traditional spicy chili-seasoned base sauce, the black base sauce could hardly taste or feel of the chili sensation, however, the slight sweetness and savoury sauce was a pleasant to the palates with its delectable flavour. Prawnaholic is the dream work of a young chef, however, we applause his culinary skills to create a uniquely prawn noodle that has the characteristics and brings this traditional hawker food a level higher, of course, the noodle comes with a premium price tags ($6.50) but we think it is justifiable for the quality presented. Be it to support our young food entrepreneurs or for the bowl of enthralling prawn noodle, we fully endorsed the work from Prawnaholic. Above are the recommendations we specially hand picks for you from the food that we had tried in 2018, give it a try and enjoy.